The weather today was spectacular, the scenery was beyond belief, but the physical hardship of the walk was absolutely relentless. The road just kept going higher and higher and the rocks and bolders that made up most of the path made walking treacherous. 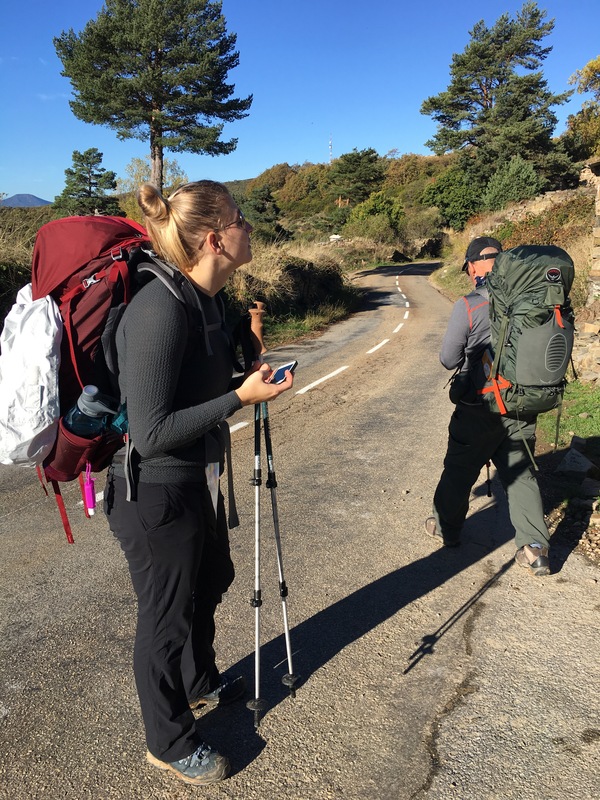 This was a hard day for everyone on the Camino…it never seemed to end. Within this journey I learned about the life journeys of several of my pilgrim walkers. Their pain and anxiety were much like the road, seemingly endless and tiresome, just like the physical terrain. How much this journey is a metaphor for life, symbolizing the often unchosen suffering that just appears in one’s life, like a large stretch of bolders on the Camino. You can’t avoid them, at least not for long. Losing a loved one, seeing a child face illness or addiction, ending a marriage, not finding the right person, losing a job or hating one’s current job…loneliness… these are the many realities that make the road rough and the journey tiresome. And so, the ancient pilgrimage to Santiago is being transformed from an infrastructure created by Catholicism to a modern infrastructure created by UNESCO. All religions welcomed or no religions, it just doesn’t matter, as long as one respects whatever anyone else believes or not believes. Religion and spirituality need to be personal and very private. The Camino is clearly reflecting this new, secular attitude. As I celebrated the Mass at the Cruz de Ferro, many people speaking Spanish clearly saw me celebrating a Mass but acted as if nothing special were going on. Their laughter and photo taking went on as I prayed the ancient prayer of the Eucharist with a wonderful fellow pilgrim. No big deal. 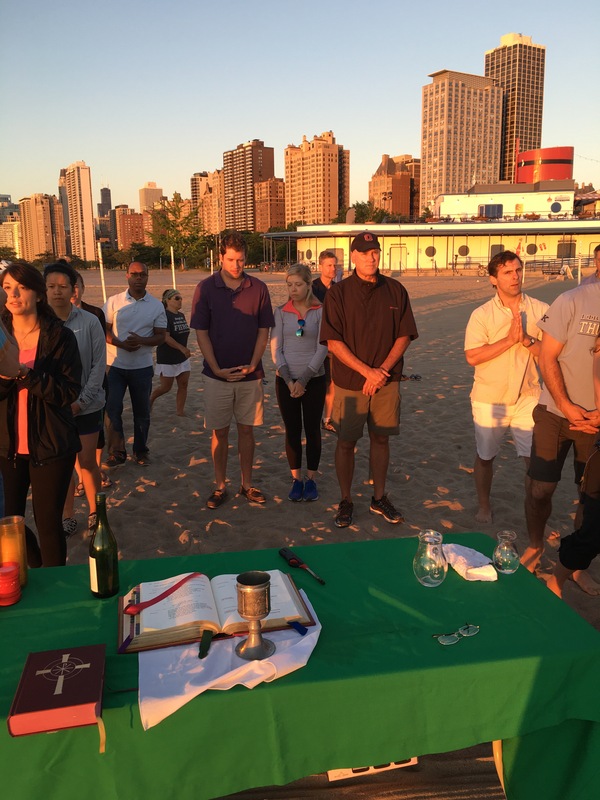 After the Mass, I began talking and laughing with those around us, until a young woman approached and very politely asked us for silence as she was trying to pray. I was moved, and a bit embarrassed, by her sincere request. Four years ago when I prayed the Mass at this very spot, there was a certain solemnity in the atmosphere. Strangers paused and even prayed along, regardless of the language. 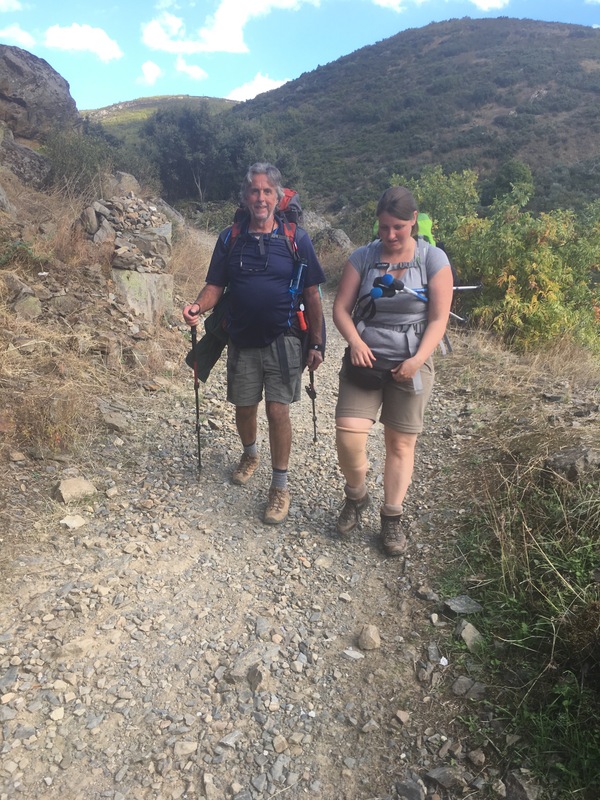 As I continue, the Camino will always be, for me, a pilgrimage, not primarily about meeting people and making friends, but about creating community with people of faith rooted in Christ, on a journey of faith. Of course, ALL are welcome, all or no religion, every race and culture and language can find expression on the Camino, for God loved ALL. Of course. 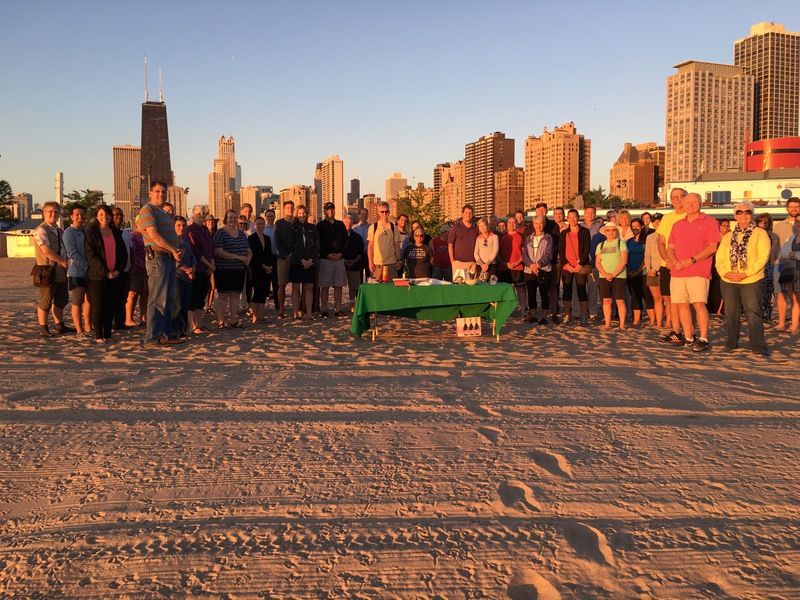 But I have a need to connect with people who share the same faith, the same basic understanding of church, the same ritual of worship and symbols that are revered and venerated by those who choose to commit to this community of the church. Most people don’t need or like or want any relationship with any organized religion. I do…which makes the journey, on and off the Camino, quite lonely. But Christ never promised it would be easy. And so I continue on the journey, facing rough terrain and endless road blocks, with those who also choose to embrace a religious community rooted in thousands of years of history, culture and faith openly expressed in ways respectful. The journey is important, but so is the destination: the beautiful cathedral, venerating the bones of St James with people who truly believe in the power of the Eucharist and the importance of Tradition. Praying daily for you & the St Teresa pilgrims for a safe camino. May all of our prayers help you to carry your loads and keep on hiking. God bless! Today’s message was especially meaningful — and poignant at the same time. Each of you are such courageous people to undertake this journey and face down your own fears. Thanks for these meaningful evocative postings. Many of us would like to be one with you’ll, in spirit through shared prayers. Maybe we could also be more with you in sharing the same meals, if only we knew what you were eating/drinking. Just a thought.. Love & peace. And so we struggle….the journey of organized religion in the Americans is like the Camino trail as you describe it. In my 7th decade I anguish that 2 out of 3 of my children are “too busy” to attend services or be involved in their spiritual growth …..is not spirituality the very top of Maslow’s life scale? I applaud your endeavor and the Christians who journey with you. I do believe God has a plan and is ever present in all our daily lives….look around, listen and feel the presence of the Trinity!! 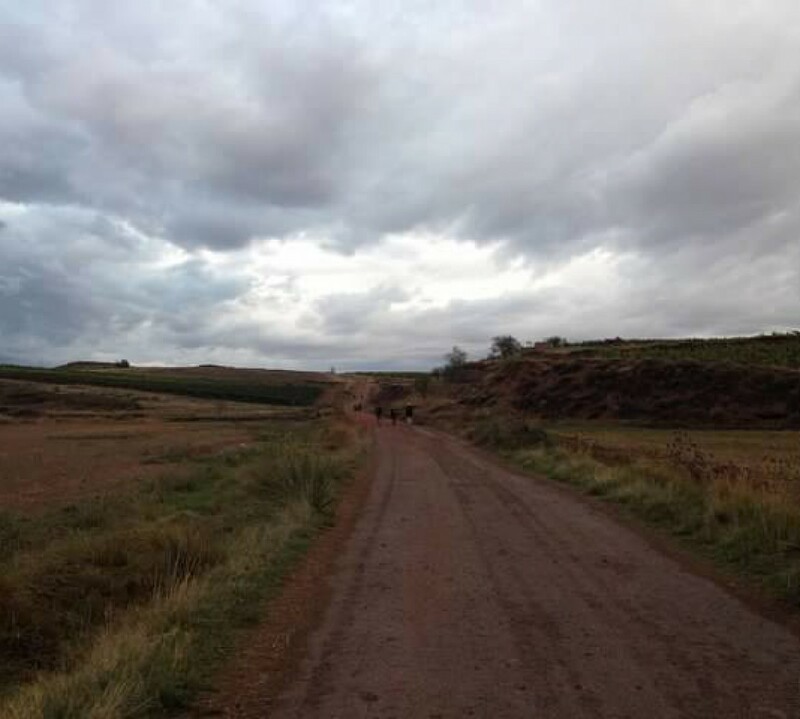 Thanks for your blog sent to me by the mother of one of your recent passengers on the Camino.